As we come into the final 5 days of the Open Source Gemini Simulator Kickstarter campaign, I have finalized the list of controls to be placed in the capsule, and I am ready to release them. I have spent numerous hours carefully documenting all of the controls one would want in a KSP sim-pit with the intent of enabling the players to perform nearly all of the functions of the game without needing a keyboard or mouse. Below is the full, comprehensive list of controls, what type they are, their location, and notes on how it will work in the game. After deciding what controls would be in the cockpit, it was time to start working on the layout of the controls. For this I went directly to Gemini Guide and the Gemini familiarization manual to try and recreate the "feel" of the original Gemini capsule. 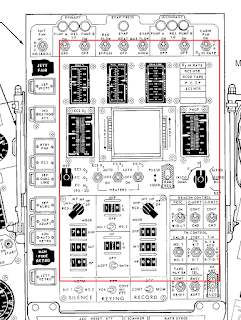 Obviously, there are many controls needed in the Gemini capsule that are not needed in KSP, and many controls needed for KSP that were not needed for Gemini. Despite this complication, I made my best effort to preserve the "spirit" of the Gemini capsule by placing similar controls to their real life counterparts in KSP. 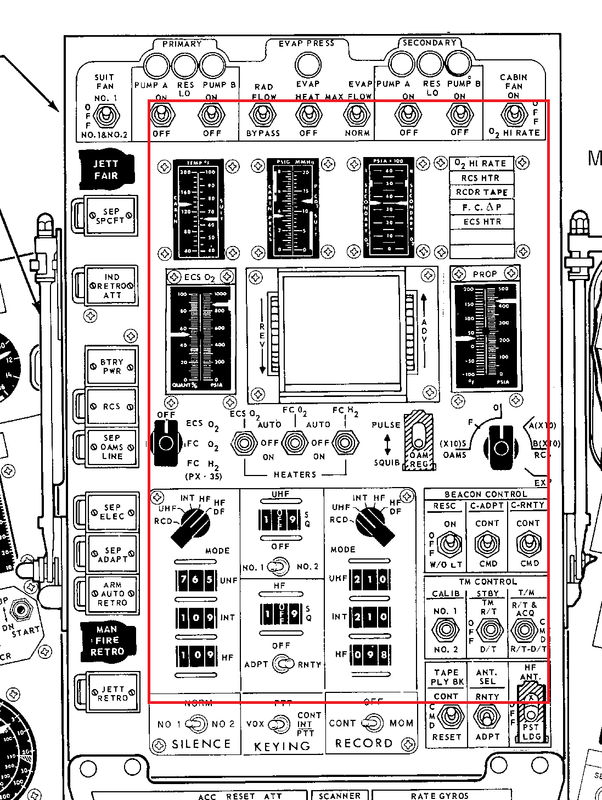 Much of the center console is dedicated to the communications/radios and life support systems found in the Gemini capsule. Given that KSP has minimal implementation for communications/radios and life support (yes, there are mods that do it, but not in the stock game, and I didn't want to complicate this capsule any more than it already is, more controls can easily be added later), I decided to eliminate much of these controls and replace them with the screen. The physical controls are located mainly on a few major panels, the overhead panel, the right and left panels, and the center console. Most of the controls are switches, just like in the real Gemini spacecraft, though I have opted for lighted toggles because who doesn't love blinking LED lights?